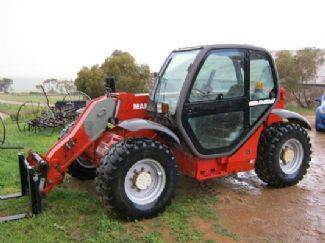 A Perth GPS tracking device was used to locate a stolen all terrain forklift valued at around $20,000. The RMP Abrasive Blasting company had fitted fleetminder’s GPS tracking devices to all their machinery including this forklift. When staff realised that the forklift had been stolen they used the fleetminder Live Tracking system to pinpoint the exact location of the forklift, how long it had been there and even the route the thieves had taken. As all this data is automatically transmitted every three minutes from the GPS tracking device to the Live Tracking system which records this information. RMP Abrasive Blasting exported the tracking report data and handed it over to the police who then found the stolen forklift in the backyard of a house. “This tracking system has proven to be immeasurable as it has saved us hundreds of downtime hours in processing insurance paperwork, sustaining delays in repairs or organising a replacement, had the forklift not been found,” said a very relieved Ray Ellis, Managing Director of RMP Abrasive Blasting. “The initial costs of installing GPS units to the fleet have now been recovered by this incident,” added Ellis, affirming that apart from being used as a billing tool, the system is indeed cost effective. Since a data location is transmitted every three minutes when the vehicle or machinery is moving – or every 30 minutes when stationery, a complete route can be easily viewed on mapping software, or exported as evidence. This means even a thief in Perth manages to remove the GPS tracking device a lot of location data has already been transmitted which they can do nothing about. The recorded route leads the police right to them. fleetminder with their head office in Perth WA can provide various models of GPS tracking device suitable for any tracking requirement. When it comes to protecting expensive assets in Perth, a fleetminder GPS tracking device means that the likelihood of recovering the asset – quickly, and apprehending the thieves is very good as demonstrated by RMP Abrasive Blasting and their valuable forklift.